If you follow me on Facebook, then you may have seen that I have been trying a couple of meal delivery services to review here on the site! I thought it would be helpful for my readers to get a totally un-sponsored and unbiased review, considering these seem to be all the rage right now. Today, I am reviewing my experience with Blue Apron. As someone who loves cooking, eating, and trying new recipes/ingredients, I was definitely intrigued by Blue Apron. I have lots of friends who absolutely love everything about it! I can see the appeal and when my first box arrived, it was like a mini Christmas morning. Upon first opening the box, one thing that stuck out to me was the excessive amount of packaging. Of course you have the outside box, and all the ingredients are then wrapped in an insulated bubble wrap bag. After that, nearly EVERY vegetable is in a labeled, zip top plastic bag. A bit concerned about my carbon footprint, I quickly looked for some information regarding the recycling of the Blue Apron materials. Turns out, everything they use is recyclable (great!) and after 2 or more shipments, you can pack up cleaned packaging and mail it back to them (awesome!). I was a little concerned about how well the food would keep, especially since I got a notification that it was delivered well before I was going to be home. My concerns were quickly dispelled once I unpacked the box. From the top down, we start with a GIANT ice pack. Then you have all the vegetables and knick knacks (ie. spices, condiments, butter, dairy). Beneath a sturdy piece of cardboard is where you'll find your proteins--sidenote: when you sign up, you have the option of noting types of protein you don't like, or if you'd like a vegetarian plan. The proteins are well chilled by two more of these really large ice packs, and in fact, some of my meats had not fully defrosted which made me feel totally confident in the quality and safeness of the food. The last important piece to this puzzle is the recipe cards. There is one 8x11 glossy recipe page for each meal. There is a picture of the completed dish, a list of the ingredients (including specific measurements so you can make it again on your own), the step by step instructions and a small photo to accompany each step. You can also go online and get the recipe, as well as more detailed information about preparation, handling, and sources of the ingredients and dish. There's also one ingredient "from the farm"...I didn't quite get this...it just seemed like a way to add another document that talked about a specific ingredient. I recycled these. Overall, the packaging and documentation is very thorough, both physically as well as online. A few of you asked specifically about the freshness and quality of the ingredients. I have done two deliveries with Blue Apron and I feel like all the produce has been very fresh. I had one bunch of asparagus that looked a little blotchy, but it tasted fine and cooked up to a bright green. I also had one meal that required an avocado, and the avocado was not yet ripe enough to cook so I had to prepare that meal later in the week. In terms of the proteins, I found them to be quality cuts of meat. The packaging all showed that they were organic and the fish was not farm-raised. One of the big draws people find with these types of delivery services is that you get just the right amount of ingredients for the number of servings you choose (either a two-serving or four-serving family box). For example, one of our meals required two scallions and the box had exactly two scallions packed in a zip top bag. The protein is exactly portioned to two servings--even a pork tenderloin was portioned just for two! Overall, I think we struggled with the serving sizes. My husband and I both have big appetites, especially since he bikes to and from work every day. While I did find it helpful for better understanding appropriate portions, some meals just seemed a little too small. I also don't mind having leftover vegetables, rice, pasta, etc. for meals later in the week. There are pros and cons to both sides, though. For example, we definitely had much less food waste (in fact, we really had no food waste at all). I had a reader ask specifically if this service helped save money, and I would have to go with a hard no on this. Like most things our generation loves, it costs a bit more for the convenience of having food delivered to your door, saving a trip to the grocery store, and doing the meal planning for you. Based on the price of the box, you're essentially paying about $10 per meal. This price, as I mentioned, doesn't include any leftovers nor leftover ingredients. That means that you are likely paying more for dinner than you would if you shopped yourself, without any leftovers to use later in the week, and you will still need to either buy or prepare a separate lunch for the rest of the week. Oh! I thought I would mention that, perhaps because I am crazy, I did measure a couple of the pre-packaged ingredients to see whether or not the amounts matched up with what the recipe card said. Turns out, they were very accurate! So, if you do want to make a recipe on your own, as long as you follow the amount on the recipe cards, you should get a very similar dish. Now that we got all that business out of the way, let's talk about what it is we are here for -- the food! I have received two Blue Apron deliveries, for a total of six meals. We have enjoyed most of the meals--the recipes are approachable and the food has almost always been tasty. However, when the meals haven't been so great, they have really been busts. My favorite meals were those that used ingredients that I have either never heard of or don't use very often. One of the first meals I made was Pork Tteokbokki, which is Korean rice cakes with ground pork and asparagus in a black bean sauce and soy glaze. I had never heard of Korean rice cakes, but I thoroughly enjoyed cooking with and eating them! They are essentially thick, chewy rice noodles that are made from steamed rice that has been kneaded and pounded into cakes. 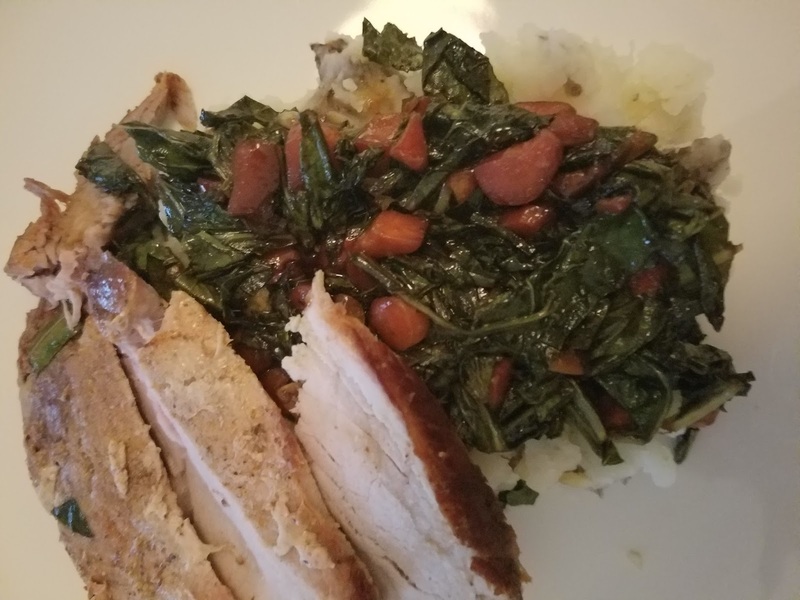 I also loved the molasses braised collard greens that accompanied a roasted pork tenderloin. I have eaten collard greens before but never prepared them myself. I also never used molasses for anything other than gingerbread, so this was a great way to learn how to use two more familiar ingredients in a unique and super tasty way. 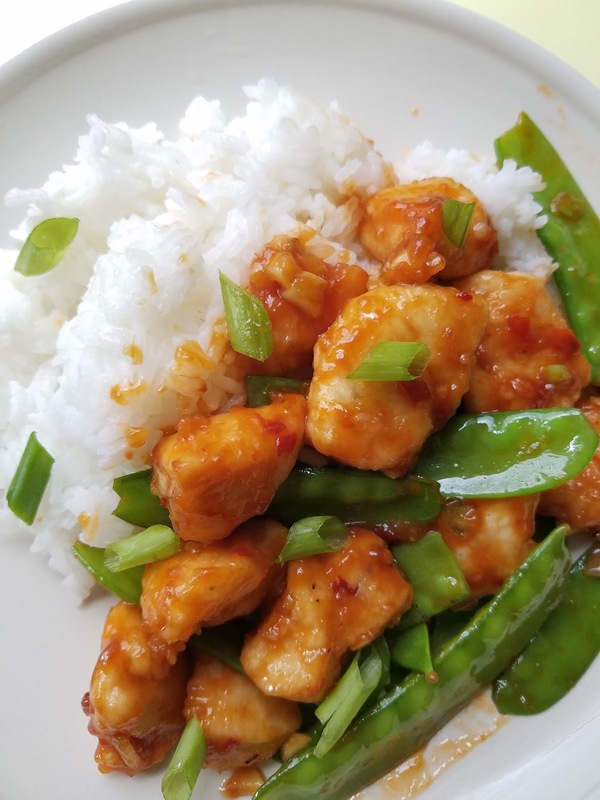 My other favorite dish was General Tsao Chicken with Sugar Snap Peas. This is, of course, something I have eaten quite a bit from take-out restaurants, but I really loved the homemade version! I will definitely be making this dish again. It's great to know exactly what is going into your food, while still being able to indulge in some of your take-out favorites. Some of the meals, while they still tasted great, didn't strike me as particularly unique or ground-breaking. As someone who cooks a lot and is always looking to try new things, some of the meals just felt plain boring. Others felt just like things I have cooked before. For someone who is just starting to cook, however, this wouldn't really be an issue. As for the meal that fell flat, I actually had really high hopes for it going in. 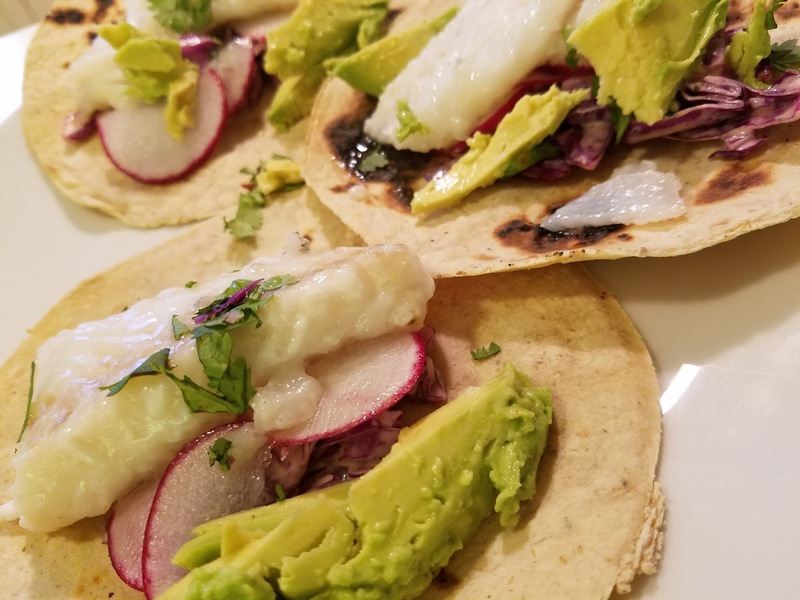 The recipe was Crispy Cod Tacos with a Chipotle Cabbage Slaw. It sounded delicious and just like something I'd order at a restaurant. Unfortunately, the batter used rice flour and water which just didn't crisp the way the picture showed, and it also stuck terribly to my pan. This was disappointing because I have made crispy battered fish before, so I know that I could do it. The technique was just off in my opinion. I also didn't care for the cabbage slaw, which was dressed in just plain mayonnaise and chipotles in adobo sauce. The corn tortillas were also not the best I've ever had. Quite frankly, I tossed more of this dish than I ate, and that is something I hardly ever do! In terms of whether or not the meals are "healthy," I suppose the answer is yes and no. I think that the meals use fresh ingredients and are also simple in that they don't use a ton of condiments. However, I had one pasta dish and one dish with rice and both used regular pasta and white rice. In general, I try to eat whole wheat pasta and brown rice whenever possible. So while I don't think they promote the meals as adhering to any special type of diet, the portions are appropriate even though you might not be eating whole grains. Well, that is probably way more information than you could have ever wanted! If you've made it this far, thanks for reading! And if you're more confused than when you first got here, let me try to summarize both the pros and cons of Blue Apron. Pros - My favorite part of Blue Apron is being able to choose specific meals that use ingredients I have rarely or never used. It's a great learning experience, and the recipes also allow me to think more creatively about ingredients I use often. I had two deliveries made for weeks when I was either away the weekend before or was unable to make it to the grocery store. This made meal planning the next week much easier and I didn't succumb to the take out menu! The ingredients are fresh and keep well even if they sit out on your porch all day until you get home from work. And because each meal is exactly portioned to the number of servings you select, food waste is very minimal (as long as you like the meal!) Plus every piece of packaging is recyclable. So make sure you do recycle it all!! Cons - Despite the recyclable nature of the packaging, I still feel that the amount was excessive. My biggest complaint is the portion sizes sometimes felt a little small--it was really just the inconsistency that was a little frustrating. Also, the meals can sometimes be a bit basic - in my opinion spending the extra money on something I could easily make and have made before on my own for a lower price is hard to justify. It's certainly not a cheap service and I wouldn't recommend it for anyone trying to save money. Lastly, although there are six meal options every week and you can choose the meals you want, not all meals are able to be combined. So, if you really want to try one of the dishes, it might block out another option that you are interested in. I don't quite understand why some can't be combined...perhaps it is a price thing...but from a consumer standpoint it's just a little annoying. Overall, I thought the experience was more positive than I was expecting. It kept my refrigerator and pantry clean and organized, albeit a bit under-stocked. The food was good and recipes were mostly enjoyable. This would be a perfect way for someone who wants to cook at home more to get motivated and creative. Plus, any of my single readers would probably love to have dinner and a lunch the next day with the two serving box. Are there any questions you still have about Blue Apron?! Leave a comment and I'll give you my honest opinion! Next review will be for Hello, Fresh! so I will try to incorporate any additional questions into the second review.